This term, our children have been putting a lot of effort into their writing and have entered many different writing competitions. Year 5 were eager to become young reporters and wrote fantastic news articles about their visit to QEGS, to see the production of Hairspray, back in the Autumn term. Their news articles were entered into the Rotary Young Journalists Competition and were very successful! 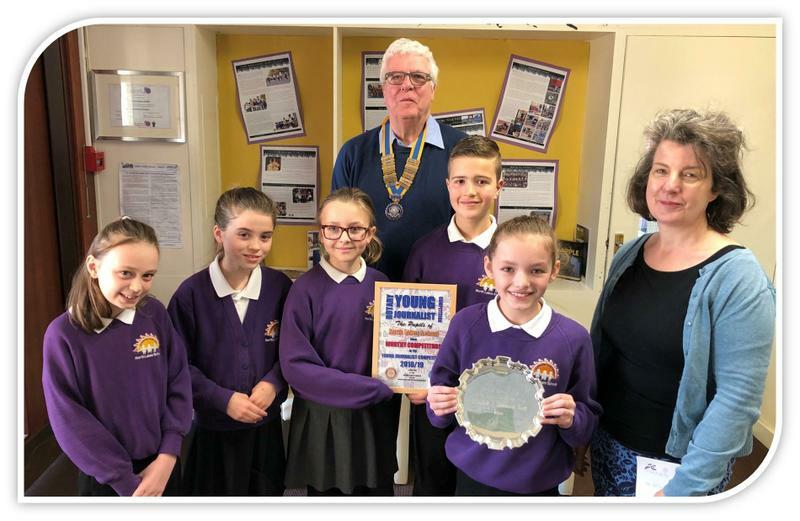 During a whole school assembly, Nick Capron (President of Penrith Rotary Club) and Emily Atherton (news editor of the Herald) presented Year 5 with a framed certificate for taking part in the competition, naming the pupils of North Lakes School as Worthy Competitors in the Journalists Competition 2018/19. They were impressed with the quality of the children’s writing and were proud to present Ella Ridley with the overall Eden winner’s prize for her report. Ella won the Young Journalist of the year award and was presented with the Rotary Club Trophy Plate. Well done Ella and all of Year 5! The BBC Radio 2 ‘500 Words Competition’, challenged a lot of our Year 5 children this half term. They were inspired and motivated to write remarkable stories; all of the children came up with their own unique ideas, characters and story plots! 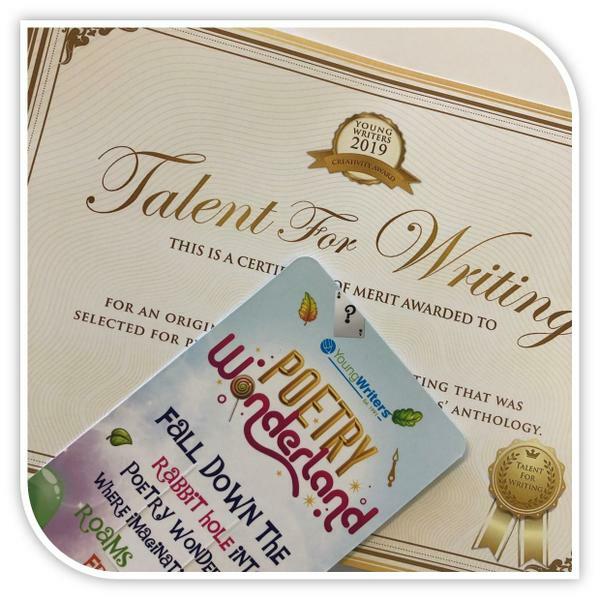 Years 5 and 6, let their imagination run wild in the Poetry Wonderland Young Writers Competition, where over 50 children’s poems at NLS were selected to be published in the Poetry Wonderland book! 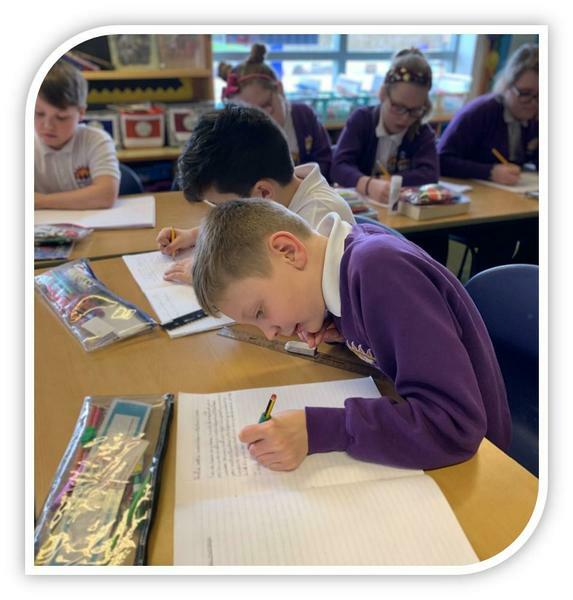 Many children at NLS are currently taking part in another Young Writers competition called, ‘An Incredible Diary Of…’ and some children have entered the ‘Wicked Writers’ Competition. Good Luck to all who are taking part! As well as entering many writing competitions, our children have been very engaged and enthused with their writing this term. 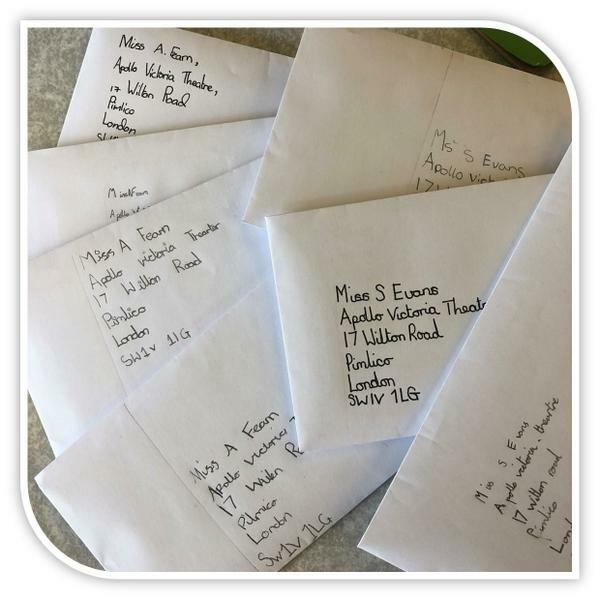 Year 3 and 4 have enjoyed writing letters to their famous idols such as David Walliams and Danny Grainger, and Year 5 and 6 have enjoyed writing letters to the cast of Wicked the musical and writing thank you cards to the places they visited around London! Well done to everyone and keep up the amazing writing NLS! Keep visiting Frog to find out the details of our next writing competition!